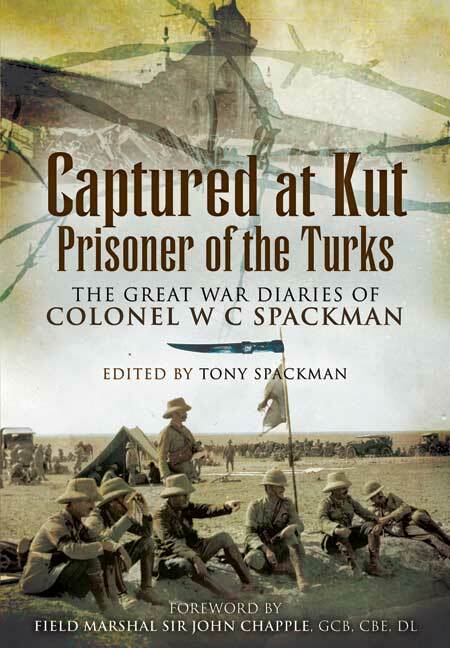 You'll be £4.99 closer to your next £10.00 credit when you purchase Captured at Kut, Prisoner of the Turks. What's this? This edited diary is Colonel Bill Spackman's extraordinary personal record of his experiences as the Medical Officer of an Indian Infantry battalion during the Mesopotamian Campaign 1914 - 1916. In particular he describes the harrowing events of the five month siege of Kut and, after the surrender of the 10,000 strong garrison in April 1916, the hardships of the 1,000 mile forced march to Anatolia in Turkey. As a doctor he witnessed at first hand suffering the and deaths of many POWs, both British and Indian. The book goes on the record life in Turkish captivity which was relatively relaxed and fortunately, in sharp contrast to their earlier experiences. Written with humorous understatement and infinite good sense Captured at Kut : Prisoner of the Turks is a gripping read and will appeal strongly not just to Great War enthusiasts but all who enjoy reading of the triumph of men over extreme adversity. ..... "Captured at Kut" is a fine addition to our understanding of the conflict. A remarkable work and one that i heartily recommend.